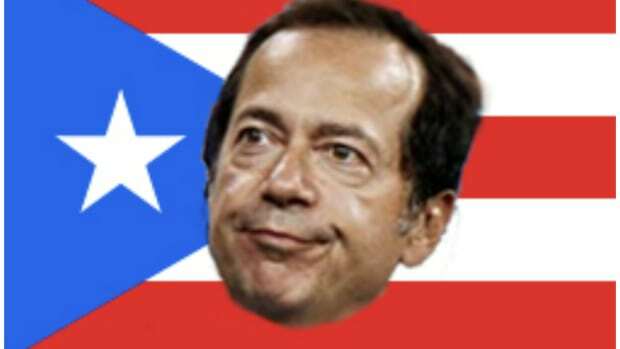 Earlier this month, Bloomberg reported that John Paulson was considering making Puerto Rico his home for a little more than half the year, having been intrigued by the idea of working from the beach and not paying capital gains taxes. For its part, PR was pretty excited about the prospect of the hedge fund manager calling the island home on tax forms, as his presence would create a much needed you scratch our back we&apos;ll scratch yours situation for the local economy. And while a spokesperson for Paulson has categorically crushed the dreams of the Commonwealth, apparently everyone has gotten over it pretty quickly and would like to make it clear that anyone with money to spend is welcome, nay, encouraged to come on down. Millionaires would be good, billionaires are better, but beggars/choosers/etc. The new tax breaks are a twist on the island’s tradition of using tax perks to bolster the economy. Puerto Rico’s per-capita income is around $15,200, half that of Mississippi, the poorest state in the nation. In 2006, a previous incentive exempting United States companies from paying taxes on profits from Puerto Rican manufacturing ended after Congress said that the incentive had bilked taxpayers. The new tax breaks are a radical shift in that they focus on financial, legal and other services, not manufacturing. Puerto Rico slashed taxes on interest and dividends to zero from 33 percent, and it lowered taxes on capital gains, a major source of income for hedge fund managers, to zero to 10 percent. Does sheltering income legally in a good way sound like something anyone would be interested in?